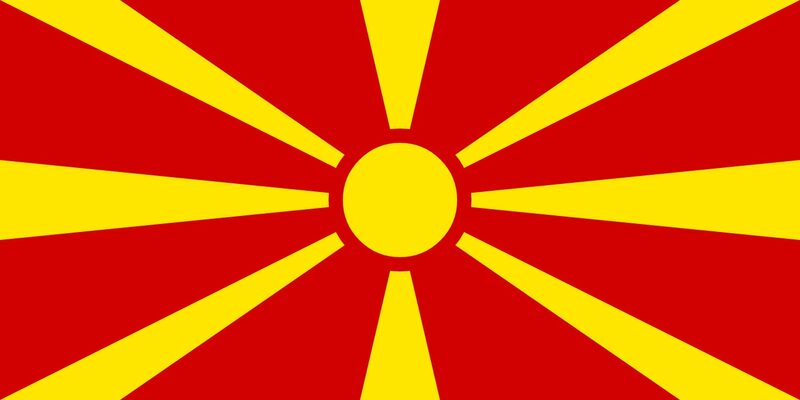 "Today over Macedonia - Denes nad Makedonija - Денес над Македонија"
The song which was later chosen to be the National Anthem of Macedona, was composed by Todor Skalovski and the lyrics were written by Vlado Maleski in 1943. August 2th 1944 (federal republic within Yugoslavia). Macedonian (uses the Cyrillic script). 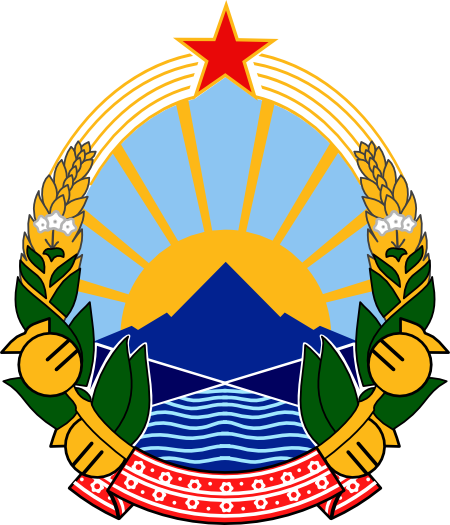 Macedonian Denar (MKD), since April 26th 1992. South-Eastern Europe, central part of the Balkan peninsula. Mountainous territory covered with deep basins and valleys; three large lakes (Ohrid, Prespa and Dojran), each divided by a frontier line; country bisected by the Vardar River. Warm, dry summers and autumns; relatively cold winters with heavy snowfall.